Kim Jong-un as the world's youngest head of state is not a good example to encourage young people to be leaders, people are saying. And they say that it is not compelling for Jong-un to follow his father's murderous footstep. This is a fallout of an announcement on Tuesday by the North Korean regime that it has developed a Hydrogen bomb. Developing a bomb said to be more powerful than an atomic bomb is undoubtedly a murderous undertaking in an age that the world is talking about ensuring that rogue nations don't develop the nuclear And Jong-un is a leader of a rogue nation, and an inheritance from his father. Would not it have been better that the young Jong-un has charted a different course different from his father's wobbled legacy? 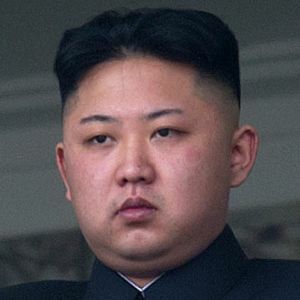 The fact that the young Jong-un has chosen to continue his father's worrisome legacy has put him has put him on the world's negative news spot. What happened on Tuesday following an official announcement on a North Korean television that the country has a hydrogen bomb is not different from earlier developments in the country since Jong-un finds himself in his father's shoes. News reports describe the event of North Korea's announcement of possession of Hydrogen bomb as breaking news event all day. People found it as a news in the morning and still found in the evening that it had remained breaking news. Yet, leaders around the world said that they could not at that level confirm North Korea's murderous possession. But the following day, the same leaders that North Korea will be punished for his acts, but yet to specify what form the punishment would take. Most analysts are saying that rather than punish North Korea in the past for its missteps under the senior Jong-un, the country was encouraged of its unbecoming acts of senseless belligerence. Analysts talked about how the late North Korean leader was contained from his act of belligerence during President Bill Clinton's presidency in the United States. And the world has continued to contain the rogue state with indecent carrots not so much different from bribery, instead of confronting the leadership with the power of force: For it to abide by the international sense of decency or be disgraced. Did Sadam Hussein did much before he was humiliated and his own people made to hang him for ordinarily calling the bluff of the world's loudest super power? He was accused of amassing weapons of mass destruction and up to this day, no single evidence is available to show that his accusers got any sense. And now a 33 years old who seems to know nothing, and who has chosen to follow his father's footstep of seeking carrots is threatening the world and the world is at a loss about what to do about him. Bombs were rained on Iraq to get Saddam, but carrots are offered to the North Korea for its missteps. Now, South Korea has said it will cross border propaganda that include playing Korea's pop music to dissuade Jong-un from his suicidal journey. A reminder of how David was sought to play music for King Saul, when King Saul's madness came upon him.